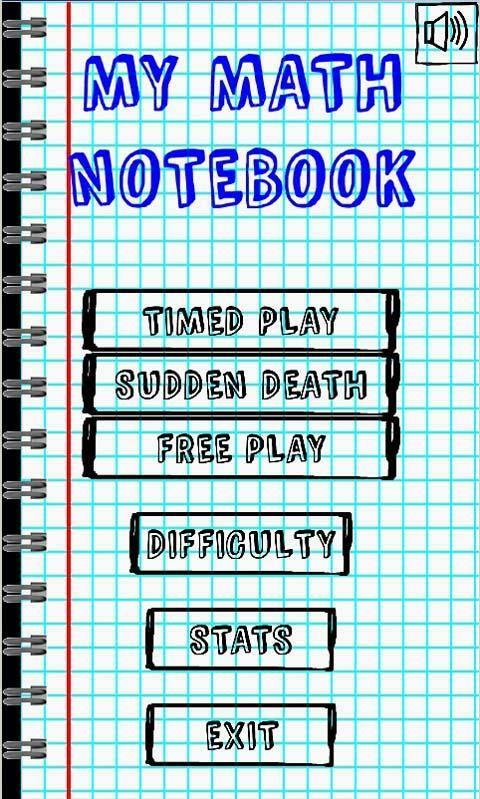 With worldwide downloads, we think your brain will love My Math Notebook. Keep your mind healthy, test your mental math and exercise your brain everyday. 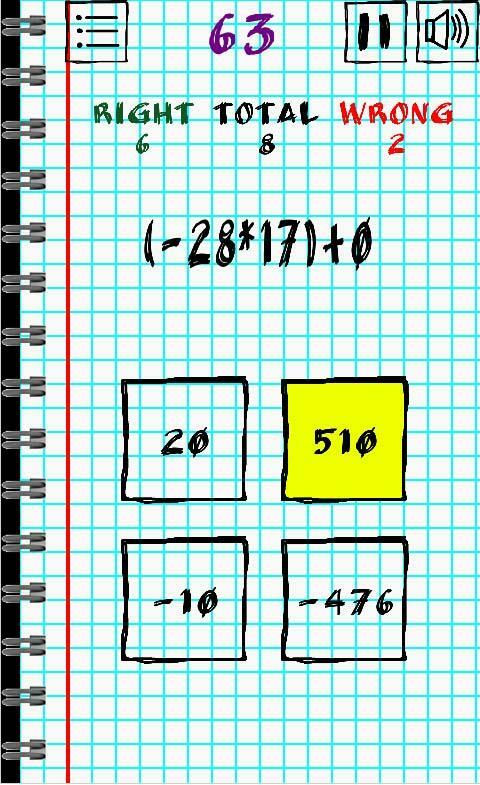 This is an educational math game for your kids and why not, maybe for everyone (this is a good brain test and you can improve your math calculations speed). 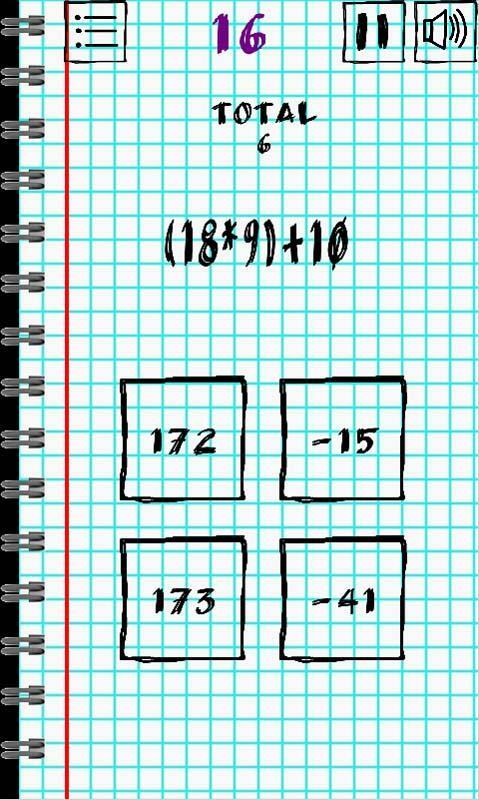 After playing this cool math game, your kids will definitely calculate faster. The questions (math equations) are dynamically generated, so you will get new questions each time you play the game. 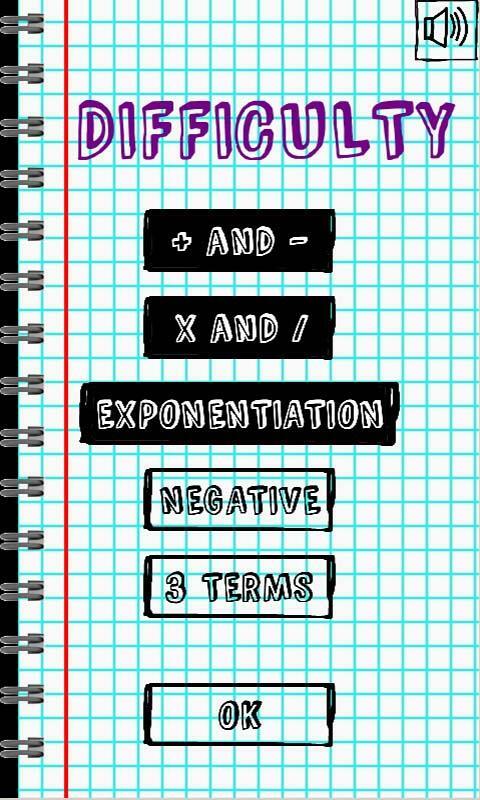 Increase the difficulty by selecting different operations and equations characteristics. There are three modes of play: 1. Timed – where you have only 90s to answer as many as you can 2. 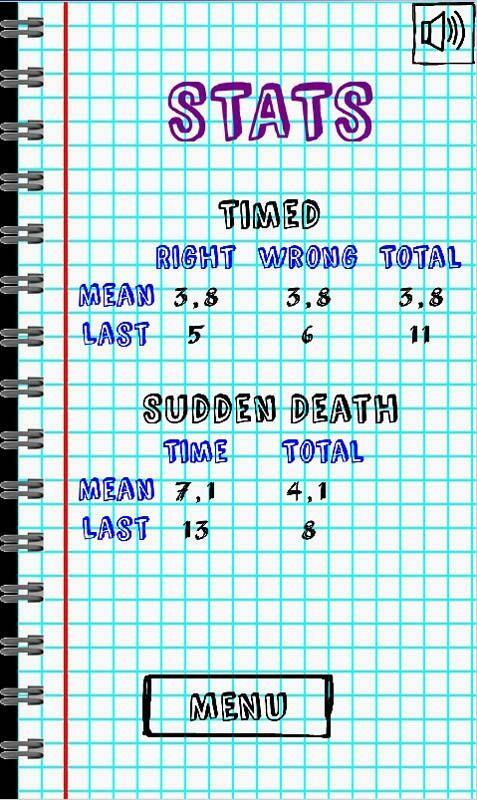 Sudden Death - answer until you fail one 3. Free – no time and no statistics. This app will give you some intense brain training - forcing you to come back for more!